Constantin Brancusi's Bird in Space, Alvar Aalto's Savoy Vase and the iridescent nature of a bubble which captures the reflection and refraction of light waves via its surface. Not the first thoughts that come to mind for the average reader contemplating the design impetus behind Plus Architecture's scheme for 295-309 King Street, Melbourne. 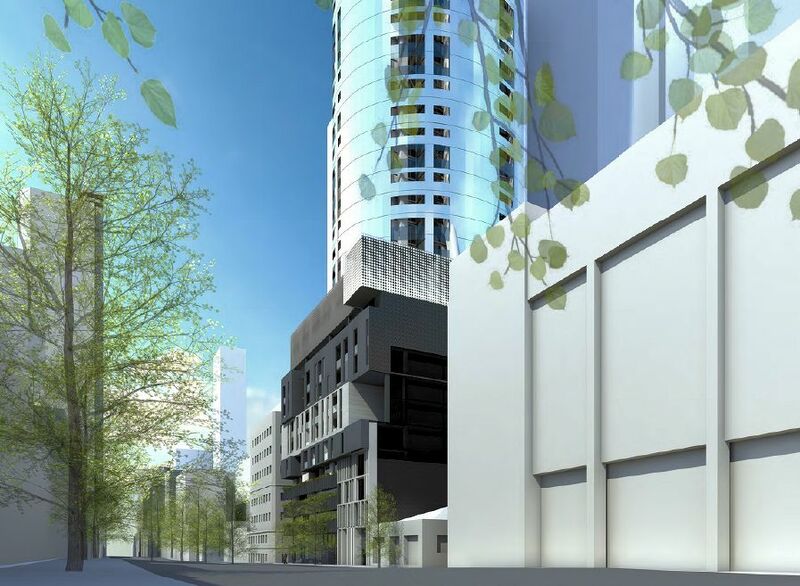 Nonetheless they have been listed as major influences upon what may become one of Melbourne's tallest apartment towers should it gain approval. The 81-level proposal is appropriate to its changing and emerging urban context. Currently the west precinct of the City lacks significant architectural developments and this proposal will contribute to the emerging contemporary character of the area. 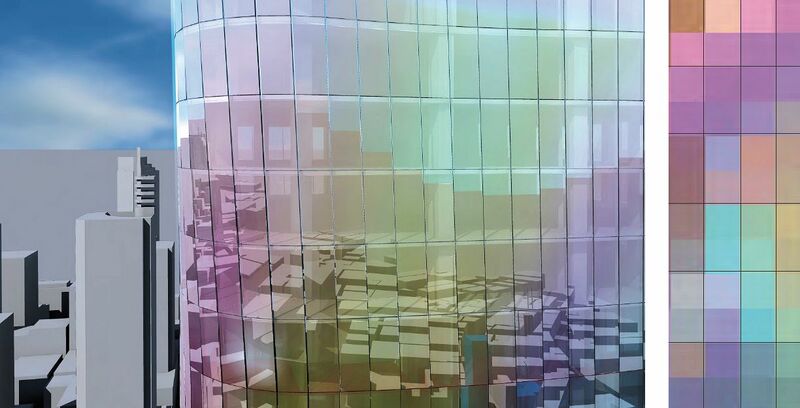 Dominating 295-309 King Street's exterior will be a curtain glaze of iridescent panels capable of capturing the light spectrum in a manner unlike any other Melbourne tower. The façade will change appearance depending upon factors such as weather conditions and the angle from which it is viewed. Plus Architecture’s design for the proposed building embodies elegance, flair and sophistication and adds a high quality signature element to the evolving northern and western residential fringe of Melbourne’s CBD. The unique built form has been inspired by the concept of a budding flower, and as a result, presents as a number of tapering curves revolving around a centre point. With its splayed shape and unique façade capable of creating its own distinct detail, Plus Architecture have strived to set 295-309 King Street apart from all other Melbourne buildings. The Podium has been designed to respond to the fine grain relationship with the King Street and Little Lonsdale Street wall. Historically, Melbourne has had a distinct connection with its use of bluestone in creating Rustica Façade designs. The podium design for this development seeks to draw inspiration from the bluestone streetscape of King Street by reinterpreting this relationship in a contemporary way that responds to the human scale. Thus, the podium has been broken up into a Jenga like formation creating a dynamic façade that plays with scale and materiality, while also providing privacy for podium apartments. As touched upon earlier 295-309 King Street is one of many towers lining up to replace the bevy of available development sites immediately surrounding the site in question, most of which are loosely located around the King and Lonsdale intersection. 250 Spencer Street's quartet of towers between 205 and 300 metres, the at sales 605 Lonsdale Street (165 metres) plus the under construction 33 Rose Lane (170 metres) and 612 Lonsdale Street (144 metres) attest to the popularity of this patch of Melbourne's CBD at the moment. Perhaps understanding that most sites surrounding 295-309 King Street carry prime redevelopment potential, Plus Architecture have added development feasibility scenarios for the adjoining 311 King Street. As a result 295-309 King Street is built to the northern boundary to a height near on 40 metres, providing 311 King Street with a common boundary to build against, with a tower above podium to 70 metres possible in a likely scenario. Under this feasibility scenario tower to tower distance would be 9.5 metres. Yes !! Another great skyscraper sibling pairing to go with A108/Eureka & Aurora/EQ .. love to see it go ahead !! Two main issues - it's smells like a flip and of course the good old City of Melbourne. Interested in hearing more about this one. The podium may not be the most elegant one around but it does appear to offer plenty of life facing the street with what appears to be retail and office space all the way up. I would much rather than just a carpark covered in some blank panels or other motif - I don't mind it. One of the more elegant buildings I have seen. I love the iridescent panels and personally really like podium. This building would go a long way toward reversing the aforementioned lack of significant architectural development in the west precinct of the City.